Methods We conducted a search of Medline and Embase for all original articles published up to September 2012 using predefined keywords. After excluding studies with a definite selection bias, we included 39 articles. Results About 60% of the studies reported at least one positive association between psychosocial factors at work and a weight-related outcome. However, 76% of the tested associations were found to be non-significant. Furthermore, the associations were rather weak. Studies of higher quality tended to observe associations more often than those of lower quality. Positive associations were found more frequently (i) among women versus men, (ii) in cross-sectional versus longitudinal studies, and (iii) for overweight or obesity versus other outcomes. About 70% of the studies reported positive associations between long work hours and weight-related outcomes. All four studies that evaluated the association between working overtime and weight gain (three longitudinal and one cross-sectional), showed a positive association among men and two of them also observed associations among women. Conclusions We found evidence for weak associations between psychosocial factors at work and excess weight. Associations were observed between long work hours, working overtime, and weight gain, especially among men. More cohort studies among non-obese baseline participants using appropriate analytical methods based on an elaborated hypothetical model are needed. Obesity has been defined as a process of excess fat accumulation due to a chronic positive shift of the energy equation resulting from an increase in energy input, a decrease in energy output, or both (1). Obesity is an important public health burden worldwide as it is associated with morbidity, disability, and mortality (2–6). It is a major cause of many diseases, including type 2 diabetes, cardiovascular diseases, osteoarthritis, and low-back disorders (2, 7). According to a systematic review, obese workers in Europe had about ten extra days of absence per person-year compared with their normal-weight counterparts (8). The prevalence of overweight and obesity has been increasing rapidly in Europe and all over the world and is estimated to increase further (9, 10). In Europe it has almost doubled in the last 25 years, and – if the current trend in the prevalence continues – 60% of men and 50% of women will be overweight or obese by 2030 (11). Obesity is a complex condition with many causal contributors, including socioeconomic, environmental, behavioral, and genetic factors (12). Even though about 40–70% of the variance in obesity-related phenotypes can be attributed to genetics (13), the rapid increase in the prevalence of obesity during the past 40 years cannot be explained exclusively by genetic factors (14). It is more likely that the current epidemic of obesity is caused largely by changes in the social and physical environment that promote excessive food intake and discourage physical activity (15). Major lifestyle factors such as dietary habits, physical activity, and sedentary behavior have traditionally been the main target in preventing and treating obesity (16–19). Most individuals gain about 10 kg between the ages of 20–50 years (on average up to 0.3 kg/year) (20). At the same age, most individuals spend about one third of their time at work, which suggests that occupational factors may contribute to weight gain (21). The psychosocial work environment includes numerous aspects related to work, with psychological job demands, job control (decision latitude), efforts, and rewards (22, 23) comprising the key dimensions. Other factors of importance are social support, worktime arrangement such as long work hours and shift work, organizational culture, organizational climate, and job insecurity (24, 25). There is a growing body of research that has examined the association of psychosocial factors at work with weight-related outcomes. However, these associations have not previously been addressed in a systematic review. The potential impact of the psychosocial work environment characterized by the demand–control or effort–reward imbalance (ERI) models on body weight was evaluated in two recent narrative reviews (26, 27). These reviews included studies published between 1986–2006, and found evidence for a weak association between psychosocial factors at work and body mass index among men and no evidence of a consistent association among women. Studied extensively, shift work is one important aspect of work that may have an effect on obesity. Still, a recent review showed that there is inconclusive evidence on the effect of shift work on weight gain, since longitudinal studies reported both positive and null associations (28). However, both cross-sectional (29–31) and longitudinal (32) studies have reported that long work hours and working overtime may increase the risk of weight gain and obesity. Yet, some studies failed to find an association (33, 34). Differences in study design, heterogeneity of the methods to assess the psychosocial work environment or weight status [body mass index (BMI), overweight/obesity, weight gain], and confounding factors included in the analyses may explain the contradictory findings or weak observed associations. Studies in occupational epidemiology tend to include many covariates in their analyses without justification (35–37). The absence of theoretical models seems to be the underlying reason for this over adjustment or unnecessary adjustment. If occupational factors are related to weight status, then it is important to make an assumption (hypothetical theoretical model) on plausible mechanisms through which occupational factors could lead to weight-related outcomes. The selection of covariates largely depends on the hypothetical model. In many situations adjustment can increase bias (38), for example, by controlling for a variable that is on the path between the exposure and the outcome (intermediate variable). In figure 1, we present a hypothetical model of the plausible mechanisms through which work characteristics could be related to weight gain and obesity. First, adverse psychosocial factors at work and poor worktime arrangements may increase the risk of weight gain and obesity directly through hyperactivation of the hypothalamic–pituitary–adrenocortical (HPA) axis and metabolic changes (neuroendocrine pathway) (39–41). Persistent stress can cause release of excess cortisol, a hormone critical to the management of fat storage and energy use (42). Increased secretion of cortisol, catecholamines, and interleukin-6, with concurrently elevated insulin concentrations may lead to abdominal fat accumulation, insulin resistance, and lipid abnormalities (42, 43). Second, psychosocial exposures may increase the risk of weight gain and obesity indirectly through an unhealthy diet, such as the consumption of fatty and sweet foods, or sedentary behavior outside work and reduced sleep (behavioral pathway) (41, 44–46). Several other factors, such as age, personality, and social support during and outside work may influence the way workers respond to a stressful environment (47, 48). Furthermore there might be selection into employment status and occupation, which means that the severely obese people may end up being employed in occupations with an unfavorable work environment (49, 50). The aim of the present study was to conduct a systematic review of studies published between 1995–2012 on the association of psychosocial factors at work and long work hours with weight-related outcomes. The hypothetical model presented in figure 1 was used as a framework for the summary of the evidence. Studies of interest were identified by systematic searches of PubMed and Embase databases up to September 2012 using predefined keywords. The following keywords were included as MeSH terms or free text: psychological workload or job strain or job demand or job control or job effort or job reward or effort-reward imbalance or work environment or job insecurity or long work hours or overtime work. Each of these was combined ­individually with body mass index or obesity or overweight or weight change. We also manually searched the reference lists of the included studies. We included original articles published between 1 January 1995 and 30 September 2012, written in English with a cohort, case–control or cross-sectional design conducted in human populations. There were four studies published before 1995 that were eligible for review, however, the fulltexts of these articles were not available. Review articles, meta-analyses, and those with no empirical results on the associations between risk factors of interest and weight-related measures were excluded. Abstracts or fulltexts were reviewed, and relevant articles (N=47) were obtained for further consideration. Two pairs of authors independently reviewed the quality of the studies using the Cochrane quality criteria for the systematic assessment of intervention studies modified to be used in non-experimental studies (51). We assessed the occurrence and severity of four possible sources of bias: selection, performance, detection, and attrition (Appendix A, http://www.sjweh.fi/data_repository.php). Selection bias was assessed by two major criteria (selection of study population and representativeness) and classified into no/minor, moderate, severe, or definite bias. The assessment of performance bias was based on a major (validity and objectivity of exposure assessment) and minor criterion (recall bias). Detection bias was assessed by a major (clear definition of outcome) and minor criterion (standardized method of assessing outcome). Attrition bias was assessed by two major criteria: completeness of follow-up and magnitude of missing data. Performance, detection, and attrition bias were classified into no, possible, or definite bias. First, the principles of assessment were discussed in the group and then the two pairs of authors made a blind assessment of the quality of five papers. Agreement was substantial. Second, the two pairs of authors assessed the remaining studies included in this review. An inter-rater repeatability study of quality assessment was undertaken. Agreement ranged from moderate (selection and attrition bias) to excellent (performance and detection bias). Disagreements were solved in consensus with a third author. Some quality items were difficult to assess due to absence of information. We, however, decided not to contact the authors, since the availability of information or data for checking would have meant treating the studies unequally. Studies with definite selection, performance, or detection bias were excluded from the review. Meta-analysis was not feasible due to the heterogeneity of the studies. The results are reported qualitatively with an emphasis on study quality and evaluating the used analytical strategy against the above-mentioned conceptual framework. The studies were also evaluated for sufficient sample size and control of confounders. The publications were classified into two groups of occupational exposures: psychosocial factors at work (job strain, ERI, and job insecurity) and work time arrangement (long work hours and working overtime). Weight-related outcomes were grouped into three categories: overweight or obesity (both general and central), change in weight-related outcomes over time (change in weight, BMI or waist circumference, weight gain, and major weight gain) and continuous weight-related outcomes (BMI, waist circumference, and waist-hip ratio). We examined statistical models of each study and classified the articles into four groups according to the set of variables adjusted for in the analyses: (i) unadjusted; (ii) minimal adjustment (age and gender); (iii) adjusted for potential moderating factors (socioeconomic indicators, occupational factors, social support at work, or personality) and (iv) adjusted for mediating factors (factors on pathway, such as leisure-time physical activity/inactivity, diet, disturbed sleep, and chronic diseases). We also described systematically the type of study (cross-sectional or longitudinal), the number, age, and gender of participants examined, characteristics of occupational exposures and weight-related outcomes, and adjustment for covariates. To summarize the evidence for observed associations, we calculated the number of positive statistically significant associations from the total number of associations tested in the studies. The association was considered to be positive if it supported the following hypotheses: (i) low job control or low job rewards are associated with high values of weight-related outcomes (weight/BMI/waist circumference/waist-hip ratio/or weight/BMI/waist circumference gain or overweight/obesity); (ii) high job demands or job efforts are associated with high values of weight-related outcomes; (iii) high job strain or high ERI are associated with high values of weight-related outcomes; (iv) high job insecurity is associated with high values of weight-related outcomes; (v) long work hours are associated with high values of weight-related outcomes. The search strategy identified 281 articles, of which 47 met our inclusion criteria and were eligible for quality assessment (table 1). Based on the quality assessment, 8 studies (52–59) had definite selection bias; 2 (54, 57) also had attrition bias. Finally, 39 studies from 30 study populations were included in the review (29–34, 60–92). One article reported the findings from three different study populations (30). The majority of the reviewed studies (24 out of 39) had no or minor selection bias, 12 and 3 studies had moderate and severe selection bias, respectively. At least one type of bias was present in 31 studies; in half of those studies more than one type of bias was found. The studies varied considerably with regard to the weight-related outcomes, as well as covariates included in the analyses (table 1). In 10 studies, the primary focus was not the associations of psychosocial factors at work and long work hours with weight-related outcomes. Several studies examined associations between multiple exposures and various weight-related outcomes. Of the study outcomes, 15 examined overweight or obesity, 11 focussed on change in weight-related measures over time, and 16 looked at continuous weight-related outcomes (weight, BMI, waist circumference, or waist-hip ratio). One study (74) had both continuous measures and change in measures over time as outcomes. Only 7 studies, evaluated the association of psychosocial exposures with central fat distribution in addition to indicators of general adiposity (31, 64, 66, 68, 74, 85, 87). The majority of the selected articles (N=36, 92%) reported gender-specific results (table 1), and 23 (59%) were cross-sectional and 15 longitudinal (follow-up) studies: only 1 study (63) reported both cross-sectional and longitudinal findings. None of the longitudinal studies was a true cohort study, ie, restricted its population at baseline to non-obese individuals. Based on the set of variables adjusted for in the analyses, 10 studies were classified as having minimal adjustment. In 15 studies, the set of covariates included also potential moderating factors (effect modifiers). Associations adjusted for mediating (intermediate variables) factors were reported in 8 articles. Unadjusted associations were presented in 9 articles. As they applied different analytical strategy depending on the weight-related outcome, 2 studies (32, 75) were therefore classified in more than one adjustment category. Summary of evidence for association of psychosocial factors at work and long work hours/working overtime with weight-related outcomes. Only 10 studies (from five study populations) on associations between psychosocial factors at work and weight-related outcomes had no or minimal bias with regard to selection, performance, detection and attrition (32, 61, 67, 70-72, 74, 82, 85, 86) (table 1); 3 studies had a severe selection bias (63, 91, 92). A possible performance bias was found in 6 studies (33, 65, 68, 73, 75, 76). In 18 studies, weight-related outcomes were self-reported (a possible detection bias). A possible attrition bias was found in 3 longitudinal (63, 88, 91) and 3 cross-sectional studies (60, 66, 89). Almost all studies (34 articles, 94%) examined the association of job demands, job control, or job strain with weight-related outcomes (Appendix, table B1, http://www.sjweh.fi/data_repository.php) and 7 studies considered the ERI model (Appendix table B2, http://www.sjweh.fi/data_repository.php). Job insecurity was the least studied, addressed in 4 studies (Appendix table B3, http://www.sjweh.fi/data_repository.php). More than half of the studies (23 out of 36) reported at least one positive association between psychosocial factors at work and a weight-related outcome (table 2). Studies of higher quality tended to observe positive associations more often than studies of lower quality. Positive associations were reported in 60% of studies without any bias, in 50% of studies with some bias, and only in 33% of studies with severe selection bias. The vast majority of the tested associations between psychosocial factors at work and weight-related outcomes were, however, found to be non-significant. Out of 220 associations tested in 36 studies (30 study populations), only 24% were statistically significant (table 3). Statistically significant associations were found more frequently among women than men (27% versus 19%), in cross-sectional than longitudinal studies (27% versus 20%), and for overweight or obesity than for other weight-related outcomes (28% versus 21%). Studies with minimal adjustment and studies with adjustment for mediating factors tended to report statistically significant associations more frequently than studies with adjustment for potential effect modifiers (29%, 31% and 17%, respectively). Furthermore, four out of nine associations tested in gender-pooled samples were statistically significant. Among different psychosocial factors at work, statistically significant positive associations with weight-related outcomes were most frequently found for ERI (31%), followed by job control (27%) and job strain (26%). None of the associations between job reward and weight-related outcomes was statistically significant. Interestingly, the rate of positive associations was higher for the ERI than the job strain model or its components among men, while among women, an opposite phenomenon was observed. Out of four studies on job insecurity, a positive association was found in only one, indicating an association between job insecurity and a 5-year BMI change among men (33). When associations in the expected direction were found, they were rather weak. In addition, associations in the opposite direction to the expected ones were reported in two studies for both genders (75, 83) and in one study among men (87). A longitudinal study in nurses reported a U-shaped association of job control with BMI and job demands with weight change (75). A U-shaped association between a 6-year change in job demands and follow-up BMI was also found among Japanese men (87). Two longitudinal studies reported interaction between job strain and baseline body weight among men (33, 82). Job strain was associated with weight loss among lean subjects and weight gain among obese subjects, while no change in weight was seen among men within the normal weight range. Another longitudinal study showed that among men and women with high baseline BMI, high job demands was associated with weight gain (88). Four out of seven studies that examined the association of several psychosocial factors at work with several weight-related outcomes found only one or two statistically significant associations (31, 66, 67, 87). There was also some inconsistency in observed associations within the studies depending on the measure of exposure or outcome, or the analytical model used. In the Whitehall II study, low job control at baseline was significantly associated with BMI gain from age of 25 years to middle-age and general obesity 11 years later in both genders, and high job demands at baseline was associated with follow-up obesity among women (67, 72). However, in the same study population, neither low decision latitude nor high job demands was associated with increased risk of obesity during a 19-year follow-up time (85). In the Finnish Public Sector study, ERI measured at the individual level was associated with BMI among men (77) and with overweight/obesity among women (83). Similarly, job control and job strain measured at the individual level were positively associated with BMI in both genders (83), while job control was not associated with overweight/obesity in either gender, and a positive association of job strain with overweight/obesity was found among women only (77). In a Finnish longitudinal study of industrial employees, low job control and high ERI but not high job strain were associated with a high BMI 10 years later in a gender-pooled analysis (71). However, job efforts, rewards, and ERI were not associated with a 28-year major weight gain among either men or women (32). Among men, only high job effort was found to be associated with a larger mean 10-year weight gain. Similarly, in the Helsinki Health Study, job demands among men and job control among women were found to be associated with BMI (29) but not with 1-year weight gain (30). Of 11 studies that examined associations between psychosocial factors at work and weight-related outcomes using different analytical models with various covariates, 7 demonstrated that the associations are either attenuated or become non-significant after the inclusion of several covariates (29–31, 60, 70, 83). The associations of long work hours with weight-related outcomes have been examined in 14 studies (Appendix table C, http://www.sjweh.fi/data_repository.php). None of the studies had no or minimal bias with regard to selection, performance, detection, and attrition. The only study with an objective measure of exposure had moderate selection bias table 1 (64). In 7 studies, both possible detection and performance bias were found. One of them (92) had also severe selection bias. The majority of the studies (10 out of 14) reported a positive association between long work hours and at least one weight-related outcome (table 3). However, overall only 40% of the tested associations were statistically significant. Positive associations were observed more frequently for a change in BMI or weight gain than for the other weight-related outcomes (77% versus 23%). All 4 studies (3 longitudinal and 1 cross-sectional) that evaluated associations between working overtime and weight gain or BMI change, showed a positive association among men (29, 32, 64, 65), while only 2 Finnish studies observed statistically significant associations among women as well (29, 32). The assessed quality of the study had a minor influence on the likelihood of positive findings (table 2). Positive associations were reported in 71% of studies with a possible performance bias and in 71% of studies with several types of bias. Studies with minimal adjustment and studies with adjustment for potential moderating factors tended to report associations more frequently than studies with adjustment for mediating factors and studies that reported unadjusted results (57%, 47%, 22% and 25%, respectively). There was some discrepancy within the studies in the observed positive associations depending on the weight-related outcome or the used analytical strategy (Appendix table C http://www.sjweh.fi/data_repository.php). In a Finnish longitudinal study of industrial employees, working overtime was associated with 28-year major weight gain among both women and men (32). Additionally, a reduction in working time predicted major weight gain among men. In the Helsinki Health Study, long work hours were associated with weight gain among men and women (29), but not with overweight/obesity in either gender (30). Statistically significant associations were observed when adjustment was made for socioeconomic factors and other working conditions, but not in the minimally adjusted models (29, 30). Another study observed a positive association for general obesity among women, but not for central obesity (31). Our systematic review showed that there is little evidence for associations between psychosocial factors at work and weight-related outcomes. The associations found were, in general, weak and inconsistent. The reviewed studies provided, however, suggestive evidence for an association between long work hours and weight gain, especially among men. To our knowledge, this is the first systematic review on the associations of psychosocial factors at work and long work hours with excess body weight. Our review is based on 39 articles published between 1995–2012. Some of the articles were included in two narrative reviews covering part of the topic of the present review (26, 27). We included 13 additional studies published between 2007–2012 and carried out a quality assessment. There are several plausible mechanisms through which psychosocial factors at work and long work hours could be related to excess body weight (figure 1). Psychosocial factors at work and long work hours might increase the frequency of eating higher caloric value food (44), decrease physical activity (45), and reduce sleep (46, 93). They may also increase the risk of weight gain and obesity directly through neuroendocrine pathways (40). The strength of the evidence depends directly on the level of agreement between the studies. Discrepancies in results can reflect differences in the design of the studies, assessment of the exposures and outcomes, and the characteristics of the study populations, and might have resulted from selection, performance, detection and attrition bias. For example, a too selective study population may not only limit the generalizability of the results but also increase the likelihood of both positive and negative false findings. Moreover, spurious exposure–outcome associations could be generated when both exposure and outcome depend on a self-report. Even though most of the reviewed studies used standardized questionnaires to measure psychosocial factors at work, self-reports might be prone to bias and reflect rather individual differences in perception of psychosocial factors than actual work exposures. In this review, we assessed the quality of the studies with respect to the occurrence of selection, performance and attrition bias and excluded studies with definite bias. Only a fourth of the reviewed studies had no or only minimal bias. The 10 high quality studies were more supportive of positive associations between psychosocial factors at work and weight-related outcomes compared to the studies of lower quality. In some of the studies, the associations of psychosocial factors at work and long work hours with weight-related outcomes was not the primary focus and thus they reported only unadjusted estimates. Nevertheless we included these studies in the review. We did not perform a meta-analysis because the studies varied considerably with regard to the weight-related outcomes, the reported measures of effect, and the covariates included in the analyses. Furthermore, most of the reviewed studies had some bias. Aggregation of information in pooled estimates will not eliminate bias, but accumulate the bias from different studies (94). Variability of findings across studies may indicate confounding or effect modification by another factor. It is worth noticing that confounding could act in both directions: it can either deflate or inflate an estimate of an effect (95). Confounding can be eliminated in a randomized controlled study, however, it occurs in all observational studies. A common approach to control for confounding after the completion of a study is to adjust for it in the analysis. To decide whether a variable is a confounder can be a real challenge. Therefore researchers might frequently choose an analytical strategy leading to over- or unnecessary adjustment (35). It has been argued that the association between psychosocial factors at work and health may be confounded for example by socioeconomic status (SES). A problem arises because psychosocial exposures and SES are correlated (96), and people with a lower SES tend to be heavier (97) and have an increased risk of obesity (67, 98, 99). Therefore, it seems reasonable to adjust for SES as a confounder in the analysis. However, in some scenarios, adjustment for SES will make no difference to the findings, in some it will remove bias, and under certain conditions it will introduce bias (100). Therefore, a careful consideration of the relationship between variables within the study is necessary before deciding whether adjustment for SES is needed. Both crude estimates and estimates adjusted for SES are recommended to be reported in order to interpret findings properly in light of the possible causal models (100). The majority of the studies included in this review were adjusted for SES, while rather few of them showed results of serial adjustments, beginning from a crude model and ending with a model adjusted for SES (29–31, 60, 70, 82, 87). The latter studies indeed suggest that social disadvantage partially confounds the association between psychosocial factors at work and weight-related outcomes. Similarly, a 10% reduction in the effect of job strain on obesity after adjustment for SES was found in a recent pooled analysis from 13 cohort studies (101). On the other hand, the findings of the study by Kouvonen and colleagues (77) imply that SES may be an effect modifier, since the association between psychosocial factors at work and BMI varied according to SES. Both higher job strain and higher ERI were found to be related to a higher BMI among employees with high SES, whereas the associations were non-significant among those with lower SES (77). It is well known that when estimating the total effect of exposures on an outcome, control for an intermediate variable (ie, the one that is on the path between the exposure and the outcome) will generally bias the estimates (102). With regard to the associations between psychosocial factors at work, long work hours, and weight-related outcomes, biased estimates of the net effect can be produced for example by the adjustment for physical activity/inactivity, smoking and disturbed sleep. Of 12 studies with adjustment for intermediate variables, only 2 (87, 89) presented serial adjustment as suggested in our hypothetical model (figure 1). In line with the model, in both studies the effects of some exposures on weight-related outcomes were attenuated and became non-significant after adjustment for smoking and/or physical inactivity. Nevertheless, even after adjustment for intermediate variables independent associations were observed in 2 studies on psychosocial factors at work (33, 77) and 4 studies on long work hours (31, 65, 84, 92). Another potential explanation for the conflicting results across studies is that an unfavorable work environment may have a different effect on individuals, depending on, for example, gender, age, personality, and social support (103, 104). In the theoretical “isolated strain” model of Karasek and Theorell (105), social support at work is suggested to buffer the harmful effect of stress on health and enhance workers’ ability to manage work demands and work stress for which there is some empirical support. In a study among British civil servants, neither experience of high job demands nor low job control repeatedly during 19 years was associated with obesity, whereas persistent, isolated strain (high job strain in combination with low social support at work) showed a dose–response relationship with incident general and central obesity among men (85). Most of the reviewed studies found that the pattern of the associations between psychosocial factors at work, long work hours, and weight-related outcomes differ for women and men. Positive associations between job strain and weight-related outcomes were more likely to be found among women than men whereas excess weight was found to be associated with ERI and long work hours among men. The explanation for the gender difference may be that men and women are employed in different occupations and positions, and therefore their working conditions may also differ. However, gender difference in psychosocial exposures was found to be present also within the same job (106). It has been suggested that a stressful job may promote different unhealthy behaviors among men and women (107). When perceiving stress, women seem to react by overeating, while men may increase alcohol use (108). It is also possible that a difference in response to job strain between men and women may result in the presence of some gender-specific factors that either enlarge, buffer, or delay the harmful effect of work environment on excess weight. For example, young men are more likely than their older counterparts to gain weight with increasing work hours, and working overtime seems to have a long-term detrimental influence on body weight among men even after returning to more standard work hours (109). Presence of “the healthy worker effect” that tends to create a bias towards the null is a well-known problem in occupational epidemiology (50). Persons with very high excess weight as well as persons that have been suffering from unfavorable psychosocial work environment for a long time may have been selected out of the labor force. An equally important problem in studies on the associations between adverse psychosocial factors at work and weight-related outcomes is selection of overweight individuals into psychosocially unfavorable jobs (49). Both selection mechanisms will result in a small variation in both psychosocial exposures and weight-related measures in working populations, leading to weak or non-significant associations between psychosocial factors at work and weight gain or obesity in working populations. Indeed, in the reviewed studies, the mean BMI was within the normal range. It is therefore recommended for prospective studies to follow also those who have left the workplace. Moreover, selection into different types of jobs should be looked at when possible. This systematic review indicates that the associations between psychosocial factors at work and weight-related outcomes are weak and somewhat inconsistent. The reviewed studies, however, suggest an association between working overtime and weight gain, especially among men. The studies included in this review were either cross-sectional or longitudinal. Since selection and confounding are present to some degree in all observational studies and none of the reviewed studies was s true cohort study, no statement regarding a causal effect of psychosocial factors at work or long work hours on excess weight can be made. Hence, cohort studies, with obese participants excluded at baseline, are needed to address the question of whether psychosocial factors at work and long work hours actually cause unhealthy weight gain or obesity. In the studies included in the present review, the inclusion of covariates to the analyses was not always justified. A careful consideration of the hypothetical model, describing the relationship between variables within the study is necessary before deciding whether adjustment for certain variables is needed. Bray, GA. (1987). Obesity: a disease of nutrient or energy balance? Nutrition Reviews, 45, 33-43, http://dx.doi.org/10.1111/j.1753-4887.1987.tb07437.x . Kopelman, P. (2007). Health risks associated with overweight and obesity. Obes Rev, 8(Suppl 1), 13-7, http://dx.doi.org/10.1111/j.1467-789X.2007.00311.x . Neovius, K, Johansson, K, Rössner, S, & Neovius, M. (2008). Disability pension, employment and obesity status: a systematic review. Obes Rev, 9, 572-81, http://dx.doi.org/10.1111/j.1467-789X.2008.00502.x . Flegal, KM, & Graubard, BI. (2009). Estimates of excess deaths associated with body mass index and other anthropometric variables. Am J Clin Nutr, 89, 1213-9, http://dx.doi.org/10.3945/ajcn.2008.26698 . Song, X, Pitkäniemi, J, Gao, W, Heine, RJ, Pyörälä, K, Söderberg, S, et al. (2012). Relationship between body mass index and mortality among Europeans. Eur J Clin Nutr, 66, 156-65, http://dx.doi.org/10.1038/ejcn.2011.145 . Roos, E, Laaksonen, M, Rahkonen, O, Lahelma, E, & Lallukka, T. (2013). Relative weight and disability retirement: a prospective cohort study. Scand J Work Environ Health, 39(3), 259-267, http://dx.doi.org/10.5271/sjweh.3328 . Bray, GA. (2004). Medical consequences of obesity. J Clin Endocrinol Metab, 89, 2583-9, http://dx.doi.org/10.1210/jc.2004-0535 . Neovius, K, Johansson, K, Kark, M, & Neovius, M. (2009). Obesity status and sick leave: a systematic review. Obes Rev, 10, 17-27, http://dx.doi.org/10.1111/j.1467-789X.2008.00521.x . Low, S, Chin, MC, & Deurenberg-Yap, M. (2009). Review on epidemic of obesity. Ann Acad Med Singapore, 38, 57-9. Finucane, MM, Stevens, GA, Cowan, MJ, Danaei, G, Lin, JK, Paciorek, CJ, et al. (2011). National, regional, and global trends in body-mass index since 1980: systematic analysis of health examination surveys and epidemiological studies with 960 country-years and 9.1 million participants. Lancet, 377, 557-67, http://dx.doi.org/10.1016/S0140-6736(10)62037-5 . Kelly, T, Yang, W, Chen, CS, Reynolds, K, & He, J. (2008). Global burden of obesity in 2005 and projections to 2030. Int J Obes (Lond), 32, 1431-7, http://dx.doi.org/10.1038/ijo.2008.102 . Qi, L, & Cho, YA. (2008). Gene-environment interaction and obesity. Nutr Rev, 66, 684-94, http://dx.doi.org/10.1111/j.1753-4887.2008.00128.x . Comuzzie, AG, & Allison, DB. (1998). The search for human obesity genes. Science, 280, 1374-77, http://dx.doi.org/10.1126/science.280.5368.1374 . Crawford, D. (2002). Population strategies to prevent obesity. BMJ, 325, 728-9, http://dx.doi.org/10.1136/bmj.325.7367.728 . Philipson, TJ, & Posner, RA. (2003). The long-run growth in obesity as a function of technological change. Perspect Biol Med, 46(3 Suppl), S87-107, http://dx.doi.org/10.1353/pbm.2003.0058 . Jeffery, RW. (2001). Public health strategies for obesity treatment and prevention. Am J Health Behav, 25, 252-9, http://dx.doi.org/10.5993/AJHB.25.3.12 . Lemmens, VE, Oenema, A, Klepp, KI, Henriksen, HB, & Brug, J. (2008). A systematic review of the evidence regarding efficacy of obesity prevention interventions among adults. Obes Rev, 9, 446-55, http://dx.doi.org/10.1111/j.1467-789X.2008.00468.x . Brown, T, Avenell, A, Edmunds, LD, et al. (2009). Systematic review of long-term lifestyle interventions to prevent weight gain and morbidity in adults. Obes Rev, 10, 627-38, http://dx.doi.org/10.1111/j.1467-789X.2009.00641.x . Hebden, L, Chey, T, & Allman-Farinelli, M. (2012). Lifestyle intervention for preventing weight gain in young adults: a systematic review and meta-analysis of RCTs. Obes Rev, 13, 692-710, http://dx.doi.org/10.1111/j.1467-789X.2012.00990.x . Lean, ME. (2000). Pathophysiology of obesity. Proc Nutr Soc, 331-6, http://dx.doi.org/10.1017/S0029665100000379 . Schulte, PA, Wagner, GR, Ostry, A, Blanciforti, LA, Cutlip, RG, Krajnak, KM, et al. (2007). Work, obesity, and occupational safety and health. Am J Public Health, 97, 428-36, http://dx.doi.org/10.2105/AJPH.2006.086900 . Karasek, R, & Theorel, T. (1990). New York: Basic Books. Healthy Work. Stress, Productivity, and the Reconstruction of Working Life. Siegrist, J. (1996). Adverse health effects of high-effort/low-reward conditions. J Occup Health Psychol, 1, 27-41, http://dx.doi.org/10.1037/1076-8998.1.1.27 . Ferrie, JE. (2001). Is job insecurity harmful to health? J R Soc Med, 94, 71-6. Caruso, CC, Bushnell, T, Eggerth, D, Heitmann, A, Kojola, B, Newman, K, et al. (2006). Long working hours, safety, and health: toward a National Research Agenda. Am J Ind Med, 49, 930-42, http://dx.doi.org/10.1002/ajim.20373 . Overgaard, D, Gyntelberg, F, & Heitmann, BL. (2004). Psychological workload and body weight: is there an association? A review of the literature. Occup Med (Lond), 54, 35-41, http://dx.doi.org/10.1093/occmed/kqg135 . Siegrist, J, & Rödel, A. (2006). Work stress and health risk behavior. Scand J Work Environ Health, 32, 473-81, http://dx.doi.org/10.5271/sjweh.1052 . Esquirol, Y, Perret, B, Ruidavets, JB, Marquie, JC, Dienne, E, Niezborala, M, et al. (2011). Shift work and cardiovascular risk factors: new knowledge from the past decade. Arch Cardiovasc Dis, 104, 636-68, http://dx.doi.org/10.1016/j.acvd.2011.09.004 . Lallukka, T, Laaksonen, M, Martikainen, P, Sarlio-Lähteenkorva, S, & Lahelma, E. (2005). Psychosocial working conditions and weight gain among employees. Int J Obes (Lond), 29, 909-15, http://dx.doi.org/10.1038/sj.ijo.0802962 . Lallukka, T, Lahelma, E, Rahkonen, O, Roos, E, Laaksonen, E, Martikainen, P, et al. (2008a). Associations of job strain and working overtime with adverse health behaviors and obesity: evidence from the Whitehall II Study, Helsinki Health Study, and the Japanese Civil Servants Study. Soc Sci Med, 66, 1681-98, http://dx.doi.org/10.1016/j.socscimed.2007.12.027 . Choi, B, Schnall, PL, Yang, H, Dobson, M, Landsbergis, P, Israel, L, et al. (2010). Sedentary work, low physical job demand, and obesity in US workers. Am J Ind Med, 53, 1088-101, http://dx.doi.org/10.1002/ajim.20886 . Lallukka, T, Sarlio-Lähteenkorva, S, Kaila-Kangas, L, Pitkäniemi, J, Luukkonen, R, & Leino-Arjas, P. (2008b). Working conditions and weight gain: a 28-year follow-up study of industrial employees. Eur J Epidemiol, 23, 303-10, http://dx.doi.org/10.1007/s10654-008-9233-7 . Hannerz, H, Albertsen, K, Nielsen, ML, Tuchsen, F, & Burr, H. (2004). Occupational factors and 5-year weight change among men in a danish national cohort. Health Psychol, 23, 283-8, http://dx.doi.org/10.1037/0278-6133.23.3.283 . Virtanen, M, Ferrie, JE, Singh-Manoux, A, Shipley, MJ, Vahtera, J, Marmot, MG, et al. (2010). Overtime work and incident coronary heart disease: the Whitehall II prospective cohort study. Eur Heart J, 31, 1737-44, http://dx.doi.org/10.1093/eurheartj/ehq124 . de Croon, EM. (2006). Studies in occupational epidemiology and the risk of over adjustment. Occup Environ Med, 63, 787, http://dx.doi.org/10.1136/oem.2006.028787 . Blair, A, Stewart, P, Lubin, JH, & Forastiere, F. (2007).  Methodological issues regarding confounding and exposure misclassification in epidemiological studies of occupational exposures. Am J Ind Med, 50, 199-207, http://dx.doi.org/10.1002/ajim.20281 . Richiardi, L, Barone-Adesi, F, Merletti, F, & Pearce, N. (2008). Using directed acyclic graphs to consider adjustment for socioeconomic status in occupational cancer studies. J Epidemiol Community Health, 62(7), e14, http://dx.doi.org/10.1136/jech.2007.065581 . Schisterman, EF, Cole, SR, & Platt, RW. (2009). Overadjustment bias and unnecessary adjustment in epidemiologic studies. Epidemiology, 20, 488-95, http://dx.doi.org/10.1097/EDE.0b013e3181a819a1 . De Vriendt, T, Moreno, LA, & De Henauw, S. (2009). Chronic stress and obesity in adolescents: scientific evidence and methodological issues for epidemiological research. Nutr Metab Cardiovasc Dis, 19, 511-9, http://dx.doi.org/10.1016/j.numecd.2009.02.009 . Foss, B, & Dyrstad, SM. (2011). Stress in obesity: cause or consequence? Med Hypotheses, 77, 7-10, http://dx.doi.org/10.1016/j.mehy.2011.03.011 . Pervanidou, P, & Chrousos, GP. (2012). Metabolic consequences of stress during childhood and adolescence. Metabolism, 61, 611-9, http://dx.doi.org/10.1016/j.metabol.2011.10.005 . Brotman, DJ, Golden, SH, & Wittstein, IS. (2007). The cardiovascular toll of stress. Lancet, 22(370, 9592), 1089-100. Vicennati, V, Pasqui, F, Cavazza, C, Pagotto, U, & Pasquali, R. (2009). Stress-related development of obesity and cortisol in women. Obesity, 17, 1678-83, http://dx.doi.org/10.1038/oby.2009.76 . Adam, TC, & Epel, ES. (2007). Stress, eating and the reward system. Physiol Behav, 91, 449-58, http://dx.doi.org/10.1016/j.physbeh.2007.04.011 . Kirk, MA, & Rhodes, RE. (2011). Occupation correlates of adults’ participation in leisure-time physical activity: a systematic review. Am J Prev Med, 40, 476-85, http://dx.doi.org/10.1016/j.amepre.2010.12.015 . Lucassen, EA, Rother, KI, & Cizza, G. (2012). Interacting epidemics? Sleep curtailment, insulin resistance, and obesity. Ann N Y Acad Sci, 1264, 110-34, http://dx.doi.org/10.1111/j.1749-6632.2012.06655.x . Kudielka, BM, Hellhammer, DH, & Wüst, S. (2009). Why do we respond so differently? Reviewing determinants of human salivary cortisol responses to challenge. Psychoneuroendocrinology, 34, 2-18, http://dx.doi.org/10.1016/j.psyneuen.2008.10.004 . Virtanen, M, Ferrie, JE, Gimeno, D, Vahtera, J, Elovainio, M, Singh-Manoux, A, et al. (2009). Long working hours and sleep disturbances: the Whitehall II prospective cohort study. Sleep, 32, 737-45. Wilcosky, T, & Wing, S. (1987). The healthy worker effect. Selection of workers and work forces. Scand J Work Environ Health, 13, 70-2, http://dx.doi.org/10.5271/sjweh.2078 . Pearce, N, Checkoway, H, & Kriebel, D. (2007). Bias in occupational epidemiology studies. Occup Environ Med, 64, 562-8, http://dx.doi.org/10.1136/oem.2006.026690 . Higgins, JPT, & Green, S. (2011, updated March 2011). Cochrane Handbook for Systematic Reviews of Interventions Version 5.1.0. The Cochrane Collaboration, http://www.cochrane.org/resources/handbook . Niedhammer, I, Goldberg, M, Leclerc, A, David, S, Bugel, I, & Landre, M. (1998). Psychosocial work environment and cardiovascular risk factors in an occupational cohort in France. J Edpidemiol Community Health, 52, 93-100, http://dx.doi.org/10.1136/jech.52.2.93 . Steptoe, A, Cropley, M, Griffith, J, & Joekes, K. (1999). The influence of abdominal obesity and chronic work stress on ambulatory blood pressure in men and women. Int J Obes Relat Metab Disord, 23, 1184-91, http://dx.doi.org/10.1038/sj.ijo.0801054 . Pelfrene, E, De Backer, G, Mak, R, De Smet, P, & Kornitzer, M. (2002). Job stress and cardiovascular risk factors - results from the Belstress study. Arh Public Health, 60, 245-68. Kobayashi, Y, Hirose, T, Tada, Y, Tsutsumi, A, & Kawakami, N. (2005). Relationship between two job stress models and coronary risk factors among Japanese part-time female employees of a retail company. J Occup Health, 47, 201-10, http://dx.doi.org/10.1539/joh.47.201 . Eek, F, & Ostergren, PO. (2009). Factors associated with BMI change over five years in a Swedish adult population. Results from the Scania Public Health Cohort Study. Scand J Public Health, 37, 532-44, http://dx.doi.org/10.1177/1403494809104359 . Magee, CA, Caputi, P, Stefanic, N, & Iverson, DC. (2010). Occupational factors associated with 4-year weight gain in Australian adults. J Occup Environ Med, 52, 977-81, http://dx.doi.org/10.1097/JOM.0b013e3181f26e72 . Allard, KO, Thomsen, JF, Mikkelsen, S, Rugulies, R, Mors, O, Kærgaard, A, et al. (2011). Effects of psychosocial work factors on lifestyle changes: a cohort study. J Occup Environ Med, 53, 1364-71, http://dx.doi.org/10.1097/JOM.0b013e3182363bda . Au, N, Hauck, K, & Hollingsworth, B. (2012, Jun 19). Employment, work hours and weight gain among middle-aged women. Int J Obes (Lond), Epub ahead of print. Hellerstedt, WL, & Jeffery, RW. (1997). The association of job strain and health behaviours in men and women. Int J Epidemiol, 26, 575-83, http://dx.doi.org/10.1093/ije/26.3.575 . Wamala, SP, Wolk, A, & Orth-Gomer, K. (1997). Determinants of obesity in relation to socioeconomic status among middle-aged Swedish women. Prev Med, 26, 734-44, http://dx.doi.org/10.1006/pmed.1997.0199 . Amick, BC, 3rd, Kawachi, I, Coakley, EH, Lerner, D, Levine, S, & Colditz, GA. (1998). Relationship of job strain and iso-strain to health status in a cohort of women in the United States. Scand J Work Environ Health, 24, 54-61, http://dx.doi.org/10.5271/sjweh.278 . Landsbergis, PA, Schnall, PL, Deitz, DK, Warren, K, Pickering, TG, & Schwartz, JE. (1998). Job strain and health behaviors: results of a prospective study. Am J Health Promot, 12, 237-45, http://dx.doi.org/10.4278/0890-1171-12.4.237 . Nakamura, K, Shimai, S, Kikuchi, S, Takahashi, H, Tanaka, M, Nakano, S, et al. (1998). Increases in body mass index and waist circumference as outcomes of working overtime. Occup Med (Lond), 48, 169-73, http://dx.doi.org/10.1093/occmed/48.3.169 . Shields, M. (1999). Long working hours and health. Health Rep, 11, 33-48. Jönsson, D, Rosengren, A, Dotevall, A, Lappas, G, & Wilhelmsen, L. (1999). Job control, job demands and social support at work in relation to cardiovascular risk factors in MONICA 1995, Göteborg. J Cardiovasc Risk, 6, 379-85. Martikainen, PT, & Marmot, MG. (1999). Socioeconomic differences in weight gain and determinants and consequences of coronary risk factors. Am J Clin Nutr, 69, 719-26. Rosmond, R, & Björntorp, P. (1999). Psychosocial and socio-economic factors in women and their relationship to obesity and regional body fat distribution. Int J Obes Relat Metab Disord, 23, 138-45, http://dx.doi.org/10.1038/sj.ijo.0800782 . Brisson, C, Larocque, B, Moisan, J, Vezina, M, & Dagenais, GR. (2000). Psychosocial factors at work, smoking sedentary behavior, and Body Mass Index: a prevalence study among 6995 whilte collar workers. J Occup Environ Med, 42, 40-52, http://dx.doi.org/10.1097/00043764-200001000-00011 . Ferrie, JE, Shipley, MJ, Stansfeld, SA, & Marmot, MG. (2002). Effects of chronic job insecurity and change in job security on self reported health, minor psychiatric morbidity, physiological measures, and health related behaviours in British civil servants: the Whitehall II study. J Epidemiol Community Health, 56, 450-4, http://dx.doi.org/10.1136/jech.56.6.450 . Kivimaki, M, Leino-Arjas, P, Luukkonen, R, Riihimaki, H, Vahtera, J, & Kirjonen, J. (2002). Work stress and risk of cardiovascular mortality: prospective cohort study of industrial employees. BMJ, 325, 857, http://dx.doi.org/10.1136/bmj.325.7369.857 . Kuper, H, & Marmot, M. (2003). Job strain, job demands, decision latitude, and risk of coronary heart disease within the Whitehall II study. J Epidemiol Community Health, 57, 147-53, http://dx.doi.org/10.1136/jech.57.2.147 . Tarumi, K, Hagihara, A, & Morimoto, K. (2003). A prospective observation of onsets of health defects associated with working hours. Ind Health, 41, 101-8, http://dx.doi.org/10.2486/indhealth.41.101 . Ishizaki, M, Morikawa, Y, Nakagawa, H, Honda, R, Kawakami, N, Haratani, T, et al. (2004). The influence of work characteristics on body mass index and waist to hip ratio in Japanese employees. Ind Health, 42, 41-9, http://dx.doi.org/10.2486/indhealth.42.41 . Overgaard, D, Gamborg, M, Gyntelberg, F, & Heitmann, BL. (2004). Psychological workload is associated with weight gain between 1993 and 1999: analyses based on the Danish Nurse Cohort Study. Int J Obes Relat Metab Disord, 28, 1072-81, http://dx.doi.org/10.1038/sj.ijo.0802720 . Kang, MG, Koh, SB, Cha, BS, Park, JK, Baik, SK, & Chang, SJ. (2005). Job stress and cardiovascular risk factors in male workers. Prev Med, 40, 583-8, http://dx.doi.org/10.1016/j.ypmed.2004.07.018 . Kouvonen, A, Kivimäki, M, Cox, SJ, Cox, T, & Vahtera, J. (2005). Relationship between work stress and body mass index among 45,810 female and male employees. Psychosom Med, 67, 577-83, http://dx.doi.org/10.1097/01.psy.0000170330.08704.62 . Laaksonen, M, Sarlio-Lähteenkorva, S, Leino-Arjas, P, Martikainen, P, & Lahelma, E. (2005). Body weight and health status: importance of socioeconomic position and working conditions. Obes Res, 13, 2169-77, http://dx.doi.org/10.1038/oby.2005.269 . Uchiyama, S, Kurasawa, T, Sekizawa, T, & Nakatsuka, H. (2005). Job strain and risk of cardiovascular events in treated hypertensive Japanese workers: hypertension follow-up group study. J Occup Health, 47, 102-11, http://dx.doi.org/10.1539/joh.47.102 . Nishitani, N, & Sakakibara, H. (2006). Relationship of obesity to job stress and eating behavior in male Japanese workers. Int J Obes (Lond), 30, 528-33, http://dx.doi.org/10.1038/sj.ijo.0803153 . Ostry, AS, Radi, S, Louie, AM, & LaMontagne, AD. (2006). Psychosocial and other working conditions in relation to body mass index in a representative sample of Australian workers. BMC Public Health, 6, 53, http://dx.doi.org/10.1186/1471-2458-6-53 . Kivimäki, M, Head, J, Ferrie, JE, Shipley, MJ, Brunner, E, Vahtera, J, et al. (2006). Work stress, weight gain and weight loss: evidence for bidirectional effects of job strain on body mass index in the Whitehall II study. Int J Obes (Lond), 30, 982-7, http://dx.doi.org/10.1038/sj.ijo.0803229 . Kouvonen, A, Kivimäki, M, Virtanen, M, Heponiemi, T, Elovainio, M, Pentti, J, et al. (2006). Effort-reward imbalance at work and the co-occurrence of lifestyle risk factors: cross-sectional survey in a sample of 36,127 public sector employees. BMC Public Health, 6, 24, http://dx.doi.org/10.1186/1471-2458-6-24 . Belkić, K, & Nedic, O. (2007). Workplace stressors and lifestyle-related cancer risk factors among female physicians: assessment using the Occupational Stress Index. J Occup Health, 49, 6-71, http://dx.doi.org/10.1539/joh.49.61 . Brunner, EJ, Chandola, T, & Marmot, MG. (2007). Prospective effect of job strain on general and central obesity in the Whitehall II Study. Am J Epidemiol, 165, 828-37, http://dx.doi.org/10.1093/aje/kwk058 . Kouvonen, A, Kivimäki, M, Väänänen, A, Heponiemi, T, Elovainio, M, Ala-Mursula, L, et al. (2007). Job strain and adverse health behaviors: the Finnish Public Sector Study. J Occup Environ Med, 49, 68-74, http://dx.doi.org/10.1097/JOM.0b013e31802db54a . Ishizaki, M, Nakagawa, H, Morikawa, Y, Honda, R, Yamada, Y, Kawakami, N, & Japan Work Stress and Health Cohort Study Group. (2008). Influence of job strain on changes in body mass index and waist circumference--6-year longitudinal study. Scand J Work Environ Health, 34, 288-96, http://dx.doi.org/10.5271/sjweh.1267 . Block, JP, He, Y, Zaslavsky, AM, Ding, L, & Ayanian, JZ. (2009). Psychosocial stress and change in weight among US adults. Am J Epidemiol, 170, 181-92, http://dx.doi.org/10.1093/aje/kwp104 . Fernandez, ID, Su, H, Winters, PC, & Liang, H. (2010). Association of workplace chronic and acute stressors with employee weight status: data from worksites in turmoil. J Occup Environ Med, 52(Suppl 1), S34-41, http://dx.doi.org/10.1097/JOM.0b013e3181c88525 . Inoue, M, Tsurugano, S, Nishikitani, M, & Yano, E. (2010). Effort-reward imbalance and its association with health among permanent and fixed-term workers. Biopsychosoc Med, 4, 16, http://dx.doi.org/10.1186/1751-0759-4-16 . Berset, M, Semmer, NK, Elfering, A, Jacobshagen, N, & Meier, LL. (2011). Does stress at work make you gain weight? A two-year longitudinal study. Scand J Work Environ Health, 37, 45-53, http://dx.doi.org/10.5271/sjweh.3089 . Han, K, Trinkoff, AM, Storr, CL, & Geiger-Brown, J. (2011). Job stress and work schedules in relation to nurse obesity. J Nurs Adm, 41488-95, http://dx.doi.org/10.1097/NNA.0b013e3182346fff . Magee, CA, Caputi, P, & Iverson, DC. (2011). Short sleep mediates the association between long work hours and increased body mass index. J Behav Med, 34, 83-91, http://dx.doi.org/10.1007/s10865-010-9287-3 . Shapiro, S. (2008). Causation, bias and confounding: a hitchhiker's guide to the epidemiological galaxy Part 2. Principles of causality in epidemiological research: confounding, effect modification and strength of association. J Fam Plann Reprod Health Care, 34, 185-90, http://dx.doi.org/10.1783/147118908784734873 . Jager, KJ, Zoccali, C, Macleod, A, & Dekker, FW. (2008). Confounding: what it is and how to deal with it. Kidney Int, 73, 256-60, http://dx.doi.org/10.1038/sj.ki.5002650 . Siegrist, J, & Marmot, M. (2004). Health inequalities and the psychosocial environment—two scientific challenges. Soc Sci Med, 58, 1463-73, http://dx.doi.org/10.1016/S0277-9536(03)00349-6 . Molarius, A, Seidell, JC, Sans, S, Tuomilehto, J, & Kuulasmaa, K. (2000). Educational level, relative body weight, and changes in their association over 10 years: an international perspective from the WHO MONICA Project. Am J Public Health, 90, 1260-8, http://dx.doi.org/10.2105/AJPH.90.8.1260 . Wang, Y, & Beydoun, MA. (2007). The obesity epidemic in the United States--gender, age, socioeconomic, racial/ethnic, and geographic characteristics: a systematic review and meta-regression analysis. Epidemiol Rev, 29, 6-28, http://dx.doi.org/10.1093/epirev/mxm007 . Dugravot, A, Sabia, S, Stringhini, S, Kivimaki, M, Westerlund, H, Vahtera, J, et al. (2010). Do socioeconomic factors shape weight and obesity trajectories over the transition from midlife to old age? Results from the French GAZEL cohort study. Am J Clin Nutr, 92, 16-23, http://dx.doi.org/10.3945/ajcn.2010.29223 . Richiardi, L, Barone-Adesi, F, Merletti, F, & Pearce, N. (2008). Using directed acyclic graphs to consider adjustment for socioeconomic status in occupational cancer studies. J Epidemiol Community Health, 62, e14, http://dx.doi.org/10.1136/jech.2007.065581 . Nyberg, ST, Heikkilä, K, Fransson, EI, Alfredsson, L, De Bacquer, D, Bjorner, JB, et al. (2012). Job strain in relation to body mass index: pooled analysis of 160 000 adults from 13 cohort studies. J Intern Med, 272, 65-73. Robins, J. (1989). The control of confounding by intermediate variables. Stat Med, 8, 679-701, http://dx.doi.org/10.1002/sim.4780080608 . Lecic-Tosevski, D, Vukovic, O, & Stepanovic, J. (2011). Stress and personality. Psychiatrike, 22, 290-7. Rydstedt, LW, Head, J, Stansfeld, SA, & Woodley-Jones, D. (2012). Quality of workplace social relationships and perceived health. Psychol Rep, 110, 781-90, http://dx.doi.org/10.2466/01.13.21.PR0.110.3.781-790 . Howard, S, & Hughes, BM. (2012). Benefit of social support for resilience-building is contingent on social context: examining cardiovascular adaptation to recurrent stress in women. Anxiety Stress Coping, 25, 411-23, http://dx.doi.org/10.1080/10615806.2011.640933 . Hooftman, WE, van der Beek, AJ, Bongers, PM, & van Mechelen, W. (2005). Gender differences in self-reported physical and psychosocial exposures in jobs with both female and male workers. J Occup Environ Med, 47, 244-52, http://dx.doi.org/10.1097/01.jom.0000150387.14885.6b . Krantz, G, & Östergren, PO. (2000). Common symptoms in middle aged women: their relation to employment status, psychosocial work conditions and social support in a Swedish setting. J Epidemiol Community. Health, 54, 192-9, http://dx.doi.org/10.1136/jech.54.3.192 . Vasse, RM, Nijhuis, FJ, & Kok, G. (1998). Associations between work stress, alcohol consumption and sickness absence. Addiction, 93, 23-41, http://dx.doi.org/10.1046/j.1360-0443.1998.9322317.x . Yamada, Y, Kameda, N, Noborisaka, Y, Suzuki, H, Honda, M, & Yamada, S. (2001). Excessive fatigue and weight gain among cleanroom workers after changing from 8-hour to 12-hour shift. Scand J Work Environ Health, 27, 318-26, http://dx.doi.org/10.5271/sjweh.620 .